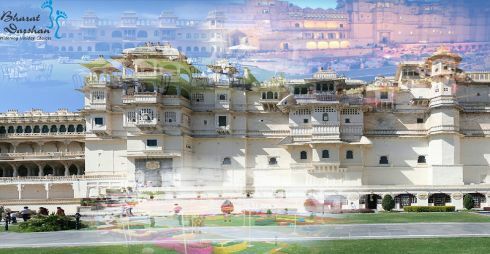 We have this package which combines and offers you the royal Rajasthan tour with comfort of Royal Heritage properties being operated by HRH group of Hotels. In this way you can feel and exp[lore the real Rajasthan in a dignified Rajasthani Style where you will find the romance of Rajasthan’s heritage and chivalry, the hospitality and humour of the people whether from regal lineage or simple, dignified desert-dwellers, and their arts and crafts. Upon arrival at Jaipur airport/railway station meet and assist and transfer to the hotel. Check in and later proceed for half day sightseeing of City Palace, Jantar Mantar and Hawa Mahal. Overnight at Hotel. After breakfast leave for Bikaner upon arrival hotel check in. En route covering Amer Fort/Amber Fort. Proceed for Bikaner check in. Overnight at hotel. After breakfast leave for sightseeing of Bikaner visit to Junagarh Fort, Lalgarh Palace, Gajner Palace and Karni Temple. Proceed to Jaisalmer upon arrival hotel check in. Overnight at hotel. After breakfast sightseeing of Jaisalmer visit to jaisalmer Fort, Salim Singh ki Haveli. Later after lunch proceed to Sam and enjoy the camel ride during sunset. Overnight at hotel. After breakfast leave for Jodhpur upon arrival hotel check in. Later proceed for sightseeing of Mehrangarh Fort, Jashwant Thada, Clock Tower and Ummed Bhawan Palace and Museum. Overnight at Hotel. After breakfast drive to Udaipur en route visit to Ranakpur Jain Temple complex. Upon arrival at Hotel check in. Evening explore the Udaipur Lake evening boating at Lake Pichola. Overnight at Hotel. After breakfast proceed for sightseeing visit to City Palace, Sahelion-ki-Badi, Jag Mandir on Island by boat and Jagdish Temple. Later free time for shopping or personal activities. Overnight at hotel. After breakfast free time till departure to railway station or Airport for onward journey. · Accommodation on twin Sharing Basis in the above mentioned hotels or Similar. · Exclusive AC Maruti Dzire/TATA Indigo for transfers & sightseeing as per above itinerary with personalized well-groomed chauffeur. · All hotel applicable taxes. · Govt service tax of 3.50%. Rajasthan travel tips are being provided to assist you while you are in Rajasthan. These safety guidelines for Rajasthan, India will prove quite useful to you if you are planning to visit this place. Here are some common dos and Don'ts for Tour of Rajasthan.